The Brazilian press had welcomed the new weapon to combat dengue but missed the information that Jacobina’s mayor, a locality where the trials took place, issued a decree in February 2014 renewing the state of emergency “due to the abnormal situation characterized as a biological disaster of dengue epidemic.” . Before that, Moscamed had announced 81% and 100% reduction in the number of Aedes aegypti mosquitoes in at least two localities of Jacobina, claiming that this meant the experiments were a success . According to Oxitec, pilot-scale releases started in the north-west of Jacobina in June 2013 and the programme will roll out across the entire city over two or three years . During the evaluation of the commercial application for the release of the GM mosquito, a CTNBio member had presented a report with information questioning the impact of the GM mosquitoes on the incidence of dengue and warning that in some circumstances the releases could make the disease worse, even if the number of wild Aedes aegypti mosquitoes was reduced. The concerns raised did not convince the majority of the Commission. The Brazilian National Agency of Sanitary Vigilance (ANVISA) is now in charge of registering and monitoring the product, which according to the company’s recommendation implies weekly releases of 10 million GM mosquitoes for every 50 thousand inhabitants. Meanwhile, the date of publication of the promised results remains unclear. 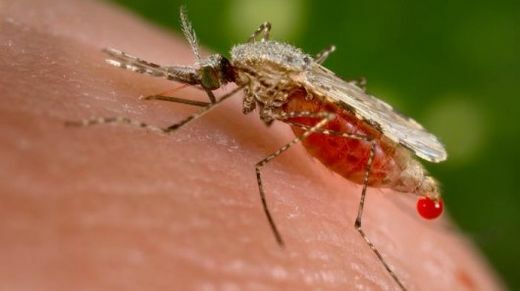 “CTNBio should review its decision to approve commercialization in light of the reality seen in Jacobina and ask for further serious studies on the full implications of releasing the GM mosquito over the local population” said Gabriel Fernandes, from AS-PTA, Brazil. “Oxitec is knocking on the doors of many countries, promoting its GM mosquitoes as being able to address the serious threat of dengue. Yet, with no concrete proof that this technology is able to reduce dengue incidence, any approval of the GM mosquitoes would be grossly premature,” said Lim Li Ching, Senior Researcher at Third World Network. “It is extraordinary that experiments with Oxitec’s GM mosquitoes continue and commercial releases have even been approved without any monitoring of the effect on dengue”, said Dr Helen Wallace, Director of GeneWatch UK “The declaration of a dengue emergency in Jacobina should be a wake-up call for the authorities”.